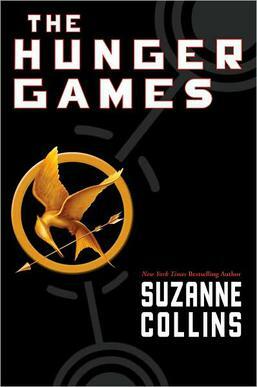 Katniss Everdeen prepares for the reaping for the Hunger Games, a game watched on live television where one boy and one girl from each district who are twelve to eighteen years old are forced to participate to battle to the death until one person remains in an arena created by the Gamemakers. Primrose, Katniss’ sister, is chosen as the female tribute for the Hunger Games. Katniss volunteers to replace Primrose in the games, and Peeta Mellark is selected as the male tribute which upsets Katniss, because he gave her free loaves of bread when her family was about to die of starvation a few years ago, so she would have a hard time killing him in the arena. They are transported to the Capitol in a train, and then they are prepared for the interview before the Hunger Games. The day after the interview, the Hunger Games start, and the twenty-four tributes are sent to the arena. Many are killed on the first day, but Katniss survives along with Peeta and eleven others. She encounters many situations that put her life on the line, but she survives. Soon, she realizes that the Hunger Games is not the only thing that may kill her. Once I started to read this book, I found it hard to stop and close the book. The plot is fast-paced, and there is never a moment in the book where you question yourself about reading the book. The Hunger Games has strong vocabulary that is well-suited for eighth grade. It is hard for me to connect to this book, since I was never in a life-threatening situation or a time when a member of my family was about to be taken away from me. Some parts of the book are very unexpected, and it shapes the story in a unique way. I have never read a book similar to this, so The Hunger Games interested me. It is a popular book so I decided to try the book. I would recommend this book for people ages thirteen to eighteen because of the violence and the romance. I would rate this book ten out of ten stars. 1. Why does Katniss take Primrose’s place in the Hunger Games? 2. Why did Katniss think that the odds were not in her favor when Peeta Mellark was chosen as the male tribute? 3. What does Katniss wear from her district to the arena? 4. Why does Katniss not trust her mother? 5. Why does Katniss shoot towards the Gamemakers in her private session? 6. Why is Katniss angry at Peeta after the interview? 7. What is Katniss’ first problem after the Hunger Games start and she leaves the Cornucopia? 8. How does Katniss kill Glimmer and a girl from District 2? 9. Why does Katniss want Rue for an ally? 10. How does Katniss destroy the Careers’ supplies? 11. What is the hidden message in the gift that Haymitch sends to Katniss? 12. How is Katniss able to go to the fest to get Peeta the cure for his wound even though Peeta objects? 13. Why does Thresh decide to not kill Katniss during the feast? 14. Why is the interview after the Hunger Games the most dangerous part of the games? 15. How come the Capitol did not like it when Katniss and Peeta were about to eat the poisonous berries so that there would be no victor for the Hunger Games?